Yes, But Still... | Psychology PhD student attempts to apply science of well-being to daily life. Life-optimizing tips included. One PhD student attempts to live on $15 dollars for 1 week. Results = Win. In our modern society, financial resources are arguably limited. Currently, there is no experimental study on the minimum amount of money one needs to live healthfully. Fortunately, universities are unknowingly conducting naturalistic experiments to address this point on a daily basis: However, the results from these experiments are presently unknown, as most PhD students do not document their current standard of living. To address this question, of what constitutes the bare minimum, the author entered into a self-contract in which he would spend no more than $15 a week on food. Furthermore, he agreed to share this information with the public, such that one might foolishly attempt to replicate the experiment at one’s own risk. 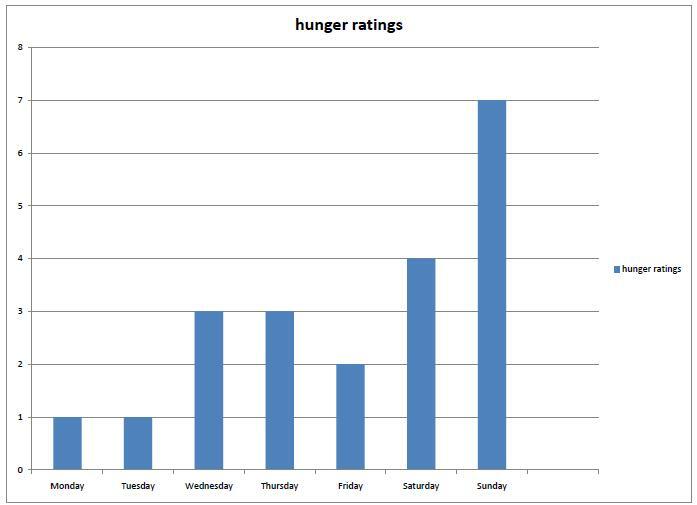 Daily ratings of hunger were obtained. One PhD student enters a Trader Joe’s grocery store with $15 dollars, and must live off his purchases for one week. We did not anticipate as part of our experimental design that this PhD student would flout the rules by acquiring items that he did not purchase from his friend’s kitchen. Nevertheless, said PhD student subsisted primarily off of baked potatoes, fried rice, egg-salad sandwiches, and cereal. Daily ratings of hunger are reported in Figure 1. It’s unclear why the PhD student felt more hunger toward the end of the week. We suspect that lack of food is the mechanism behind this effect. But these data cannot be considered reliable because they rely on self-report. Also, these data are correlational. We cannot be entirely certain whether hunger increases over time, or time increases as hunger increases! Lastly, living off $15 dollars a week appeared to be easy, if one steals food from friends. Future investigations should investigate whether PhD students can live off their stipends without raiding other people’s pantries. A trolley is out of control, barreling down a track. A mad philosopher has tied 5 people to the track. On an alternate track, he has tied 1 person. 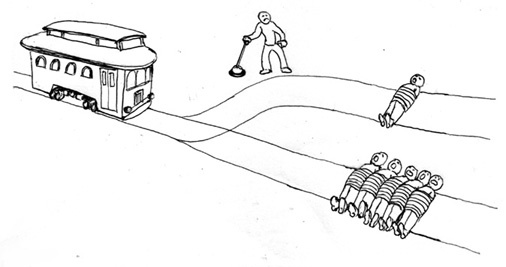 You can pull a lever, which will divert the trolley, and it will kill 1 person instead of 5. Now, most people say it’s okay to pull the lever. How about this one: The same trolley is barreling down the track, only a very heavy weight placed in front of it will stop it. There is a very fat man standing on a bridge over the track. You can push him onto the track, causing his death, and it will save the 5 people. The very same people who said it was okay to intervene in the first scenario, typically change their answer. I’ve always considered it wrong in both scenarios. Even if I can’t fully articulate the reason. 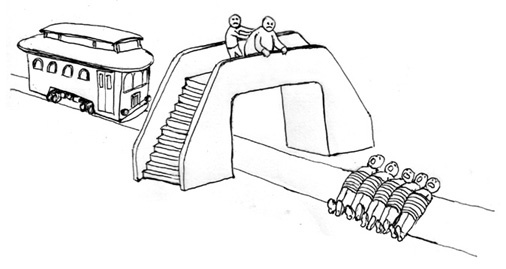 A trolley is barreling down a track, on it are 5 people. You can divert another empty trolley onto its path, causing both to derail, saving all 5 people. However, the trolleys, upon leaving the track, will kill a man who is sleeping in a hammock in his backyard. What happens here? If presented with this scenario first, most people will say it’s wrong to intervene. Somehow, people don’t want to be responsible for this man’s death, but feel okay diverting the trolley in the first scenario. I generally take a non-interventionist approach to any such scenario. Ensuring that my hands are clean. “A brilliant transplant surgeon has five patients, each in need of a different organ, each of whom will die without that organ. Unfortunately, there are no organs available to perform any of these five transplant operations. A healthy young traveler, just passing through the city the doctor works in, comes in for a routine checkup. In the course of doing the checkup, the doctor discovers that his organs are compatible with all five of his dying patients. Suppose further that if the young man were to disappear, no one would suspect the doctor.” (from Judith Jarvis Thomson, The Trolley Problem, 94 Yale Law Journal 1395-1415 (1985)). Now what? Near universal agreement that it’s wrong for the doctor to do such a horrid thing. Of course, on a factual level, all these scenarios ask people to trade 1 life for 5. Feel free to join in on the debate in the comment section. 1) Squeeze mini-tasks throughout your schedule (aka: Use EVERY Minute). Got 15 minutes between meetings? Use that time to send emails. Or print papers. Or get started on an article or paper. I try not to waste a single minute. An extra 10 minutes of work recovered per day can add up to over 40 hours of work per year! That’s a whole workweek!!! Don’t believe me? Do the math…. Yeah, I know. That’s awful! You can think of your time as a large box. If you fill it up with a bunch of projects, there’s inevitably gaps within those spaces. Mini-tasks are like grains of sand to fill in the gaps. You can certainly squeeze them into your busy schedule, and multiply your work-power. 2) Plan your day / Protect your time / Do it now. Why so much emphasis on protecting your time? Because it’s limited. What you don’t do today, you’ll do tomorrow. What you don’t do tomorrow, you’ll have to do after that. So if you procrastinate for 10 minutes, you’ve effectively pushed your whole career back 10 minutes. You’ve delayed the completion of the project for 10 minutes. You’ve delayed your promotion 10 minutes. You’ve delayed your early career awards 10 minutes. And as I just mentioned, all those little procrastination habits add up. The next time you are procrastinating. Think about how you’re stalling yourself. Then try not to cry. So just do everything immediately. Now. Go. You’re probably procrastinating while you read this. . . Get back to work. You have to use this one wisely, (time is important). But it’s the principle of reciprocity. If you help others, they’ll probably help you when you need it. But don’t help others with the expectation that they owe you something. Then you’ll just be perceived as a jerk. (Which, of course, if you’re reading this blog, you’re probably not one of those). So develop a good reputation, and others will want to work with you too. If you happen to be the resident expert at statistical analyses, and your coworker happens to be the resident expert at computer programming, there’s no reason why you shouldn’t assist your coworker with statistical analyses in exchange for programming help. Leverage your strengths and trade for aid in weaknesses. Saves everyone time. So that’s just a few secrets to how I tackle my workday. What are yours? Feel free to share in the comments below. I’m always looking for ways to optimize. Academia is a wonderful place to be. When you’re not impressing others with your research, you can impress others by “acting smart”. In the business-world, this is referred to as “impression management”. So, like a good scientist, I looked to see if there is any empirical validity to the behavior of ‘acting smart’. Does it help? Can it really be that important? The single study I managed to find indicated that it does or doesn’t help, depending on who you ask. This study manipulated one group into ‘acting smart’ during a social interaction and compared them to controls. 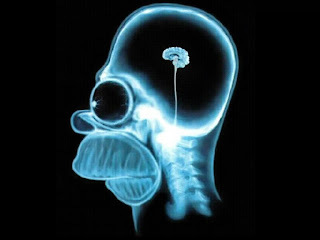 What it found was that people who were instructed to “act smart” manipulated a few particular behaviors, but these had no influence on the IQ ratings attributed to them by the person with whom they were talking. What this means is that, if you are in a one-on-one conversation, your partner is probably too busy thinking about the conversation to give any attention to your smart-acting behaviors. However, when judges were asked to rate videos of the conversations, the people in the “act smart” condition were rated as slightly more intelligent. So if want to use this knowledge to optimize your life, what you can take from this study is that if you are talking to one person, don’t worry about behaving intelligently. But if you are having a conversation with someone, and happen to have an audience, then, by all means, act as smart as humanly possible, if that’s your interest. Your audience just might buy it. As for impressing that audience, these data suggest that “looking while speaking” is used as a cue for intelligence. And having a “serious face” was not. So go out there, stare people down while you are speaking, and deceive others into thinking you are more intelligent than you really are….